Aeromexico, Mexico’s global airline, announced on May 21, that it became the first airline in Latin America authorized by the Transportation Security Administration (TSA) to join the program that provides expedited screening for low-risk passengers, and that will allow Aeromexico customers to enjoy a better travel experience on flights from any airport in the United States to any airport in Mexico. The benefit is available for all Aeromexico customers enrolled in a Trusted Traveler program of the U.S. Department of Homeland Security, such as TSA PreCheck for U.S. citizens and permanent residents, Global Entry, NEXUS and SENTRI, and active duty military members. Customers enrolled in any of these programs will have access to the TSA PreCheck lane, and no longer have to remove shoes, 3-1-1 liquid compliant bags, laptops, light outerwear/jackets, and belts. The service is available at all of the airports Aeromexico serves in the United States, including Boston, Chicago, Dallas/Fort Worth, Denver, Fresno, Houston, Las Vegas, Los Angeles, Miami, New York, Ontario, Orlando, San Antonio, San Francisco, Sacramento, and Washington, DC. Passengers with a Known Traveler Number (KTN) or enrolled in a Trusted Traveler program must enter the number when booking their flight, purchasing their ticket, or when checking in online, or at the airport kiosks or check-in counters. Once the number is entered, the KTN information is printed in the barcode on the boarding passes issued by Aeromexico along with the program logo in the upper margin and the following legend: TSA PreCheck or TSA Pre. Customers must verify that the indicator is printed on their boarding pass, and go to the expedited security lane for the expedited screening process. 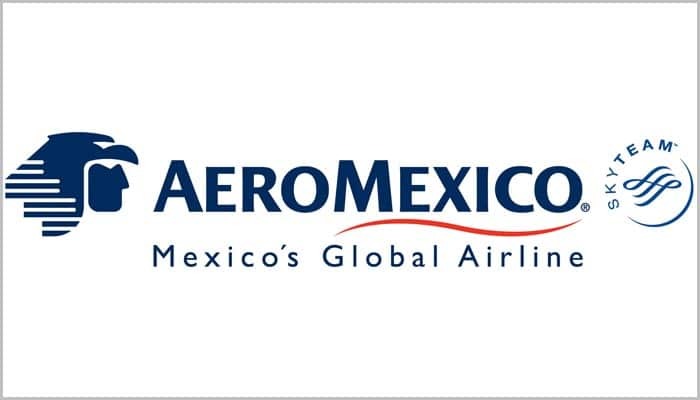 Aeromexico thus reiterates its commitment to providing its customers with a better travel experience as they continue to enjoy our quality service. Grupo Aeromexico, S.A.B. de C.V. is a holding company whose subsidiaries provide commercial aviation services and promote passenger loyalty programs in Mexico. Aeromexico, Mexico’s global airline, operates more than 600 daily flights from its main hub in Terminal 2 at the Mexico City International Airport. Its route network spans more than 80 cities on three continents including 45 in Mexico, 16 in the United States, 16 in Latin America, four in Europe, three in Canada, and two in Asia. Grupo Aeromexico’s fleet of close to 130 aircraft is comprised of Boeing 787, 777 and 737 jet airliners and next generation Embraer 190, 175, 170, and 145 models. In 2012, the airline announced the most significant investment strategy in aviation history in Mexico to purchase 100 Boeing aircraft including ten 787-9 Dreamliners and 90 MAX 737 airliners. Be the first to comment on "Aeromexico, First Carrier in Latin America to Join TSA PreCheck"